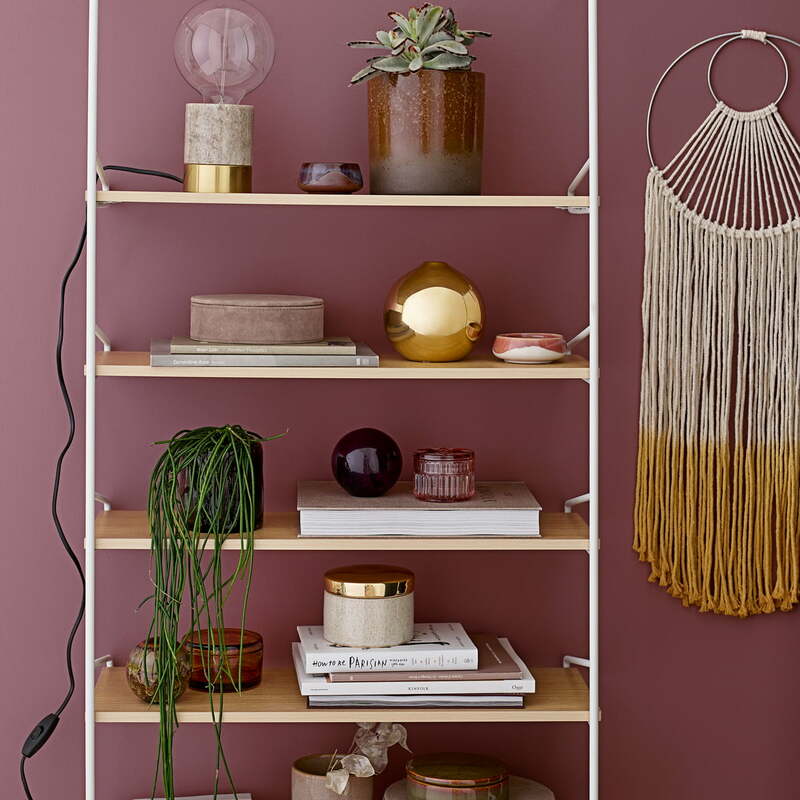 The Bloomingville storage boxes are covered in suede, making them real eye-catchers in the home. The boxes that are available in various sizes have a particularly elegant appearance thanks to the suede. They are offered in a set of 2 and are wonderfully combined with other decorative household objects. In the boxes, various things such as buttons, jewellery, office stationery and small souvenirs can be stylishly stored. 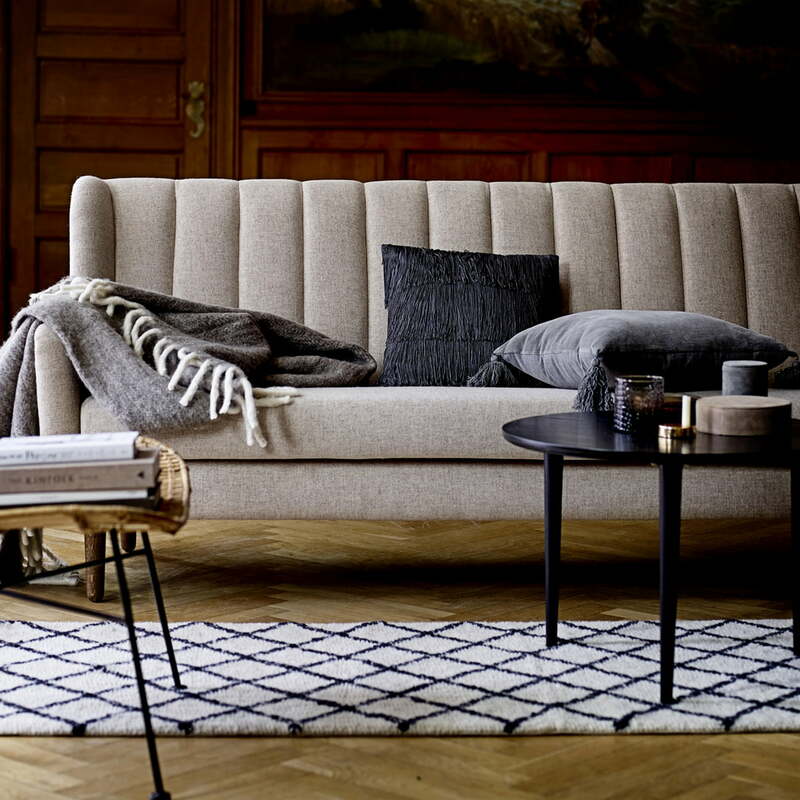 Thanks to their elegant appearance, they are beautifully presented on any surface, including the coffee table in the living room, the sideboard in the hallway or on the shelf in the bedroom. 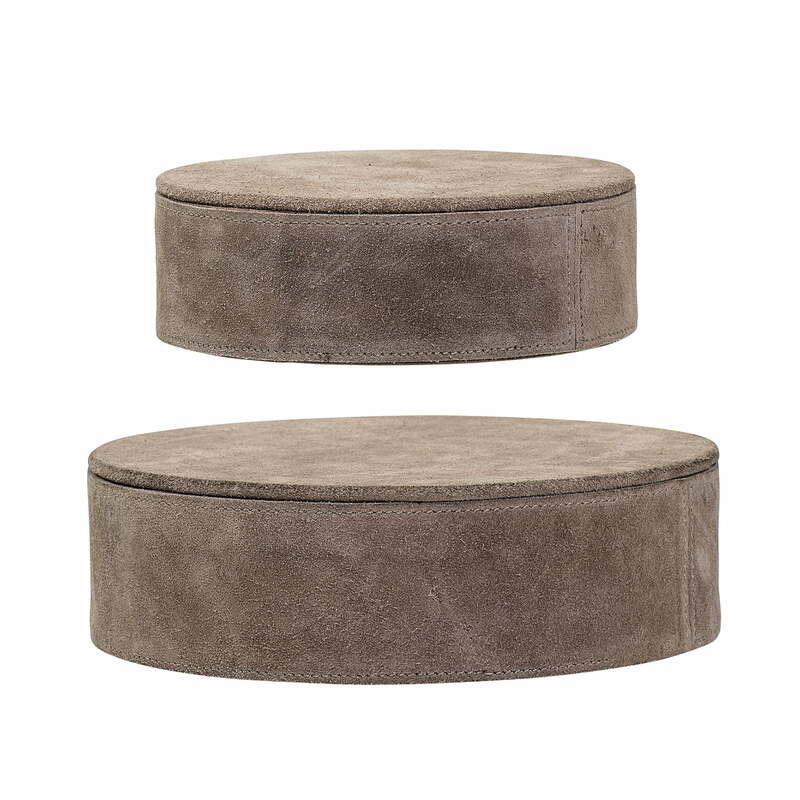 Isolated product image of the set of 2 suede storage boxes by Bloomingville. The suede storage boxes are covered in suede, making them real eye-catchers in the home. Isolated product image of the set of 2 suede storage boxes in brown by Bloomingville. 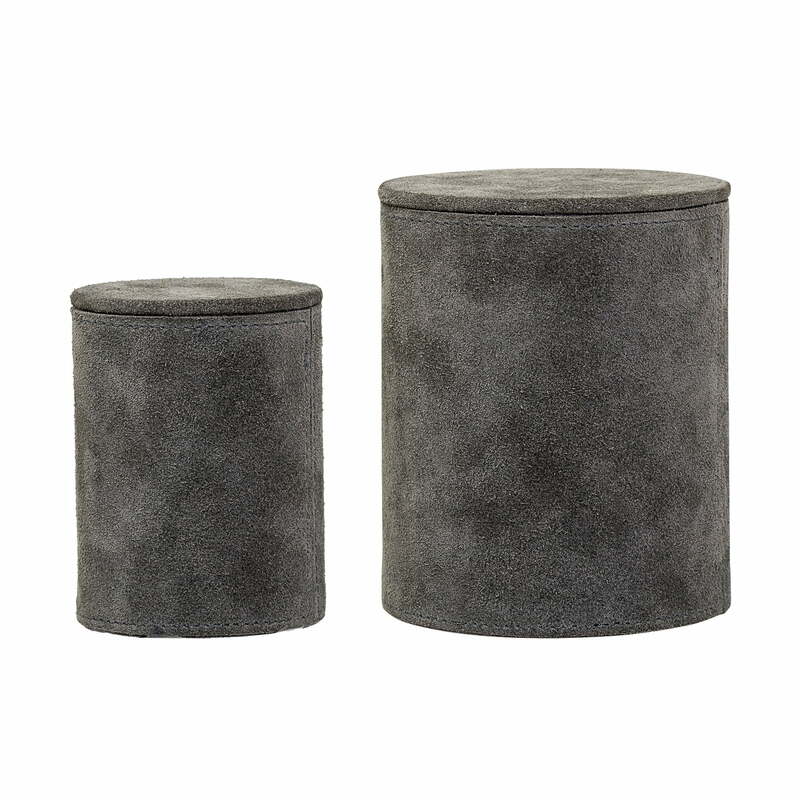 The set of 2 boxes are made from suede and are beautiful storage solutions in any interior. 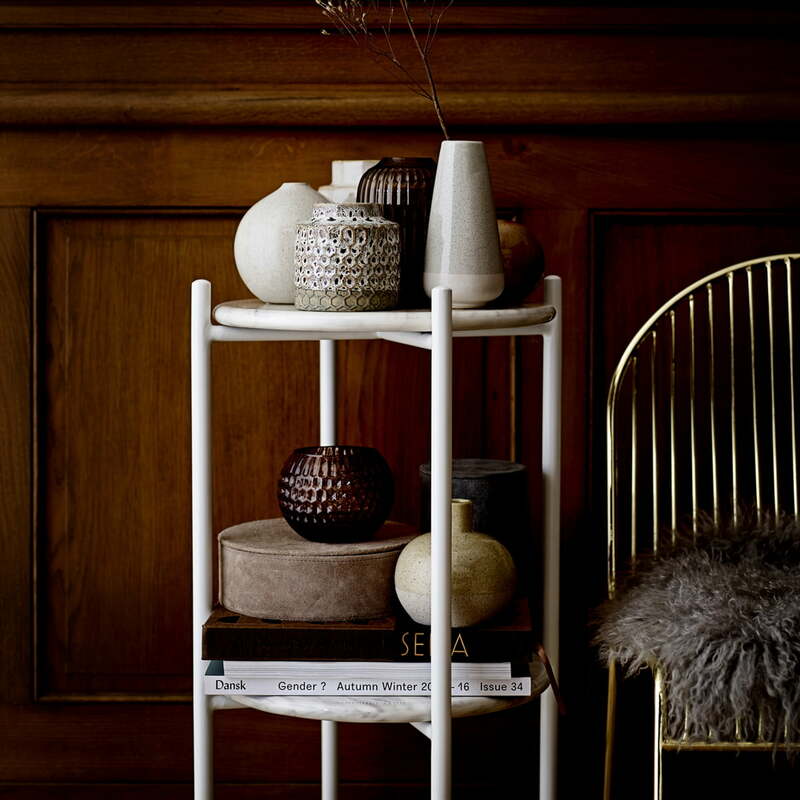 Lifestyle product image of the suede storage boxes, the set of 2 storage glasses, the storage jars Ø 11 x H8 cm and the decorative orb by Bloomingville. Suede Storage Boxes by Bloomingville: In the boxes, various things such as buttons, jewellery, office stationery and small souvenirs can be stylishly stored. Suede Storage Boxes by Bloomingville: Thanks to their elegant appearance, they are beutifully presented on any surface, including the coffee table in the living room, the sideboard in the hallway or on a shelf in the bedroom.